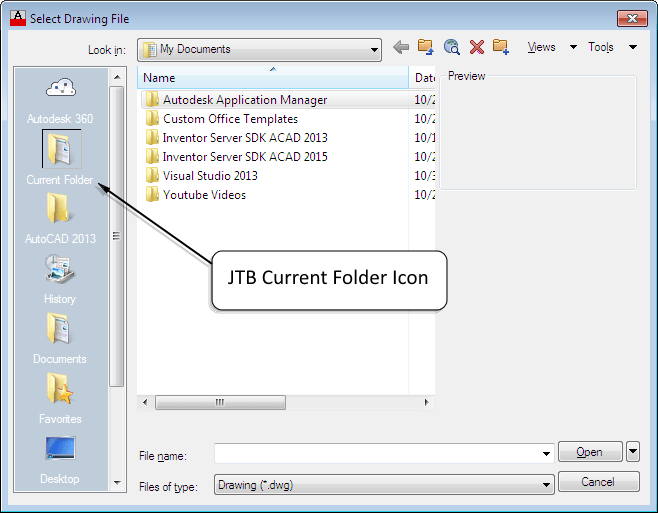 JTB World’s JTB Current Folder app for AutoCAD can be a real time saver. Every time you want to open a drawing, or attach external references, insert drawing as block or want to create a block, you will have a Current Folder item on the left of your file selection dialog box (in the custom places area). This folder shortcut will dynamically change depending on the location of the current drawing you have open. Now with added support for AutoCAD 2017.